Jeremy Waud (right) has stronger ties than most to the world of facilities management. He began his four-decades-long career with family firm OCS at the tender age of 18. He was appointed to the board in 1999 and cut his teeth as the Managing Director of Select Facilities Services, OCS’s early attempt at a bundled services business. By the turn of the millennium, however, Waud had become increasingly disillusioned with the direction of the group, and in 2002 he left to form his own business, taking a number of his colleagues with him. Incentive FM emerged soon after but the split from OCS was far from amicable. The family business took Waud to the High Court and, even though Incentive FM emerged victorious, the whole protracted saga ensured that the company’s initial years were anything but simple. Nevertheless, Incentive FM Group stands today as a solid, mid-market FM service provider. Over the course of 15 years the company has enjoyed steady growth, while Waud and his team show no signs of slowing down. In its latest financial report, Incentive FM posted revenues of £107m. Meanwhile, Waud has developed a reputation as one of the FM sector’s most outspoken personalities and most vocal exponents. Now, i-FM takes advantage of this fact by asking Waud to help us trace the origins and growth of Incentive FM as well as where this might all lead. One of the UK’s oldest FM companies, OCS Group, has announced a radical restructuring to create a singe company rather than its current complex offering of support services. Waud left OCS at this point and Bill Pollard, then Operations Director for Select Facilities Service, followed him out of the exit door. OCS Group’s Managing Director, Chris Cracknell, said the company needed to take advantage of the growing trend towards larger and more complex support services contracts and reduce the confusion created by its 35 brand names and 16 trading companies. The new brand strapline, “One Complete Solution”, would be in place by April. Waud says that it was difficult for Select Facilities Services to gain any traction within the group for precisely the same reasons. Despite the illusion of integration on the surface, OCS’s disparate businesses were often at conflict behind closed doors. “There were internal fiefdoms that needed looking after, so building a TFM business within the group was pretty difficult. That was part of the issue, and ultimately we felt as a management team that we didn’t fit the mould,” he explains. Jeremy Waud, MD of new facilities management company Incentive FM, plans to build a £100m turnover business within 10 years. While the High Court had barred Waud and Pollard from approaching any of their old clients at Select Facilities Services, the business secured a couple of contracts in quick succession. Waud, in boisterous mood, claimed that Incentive FM could reach £100m in turnover within a decade. Colgate Palmolive has chosen niche facilities management specialist Incentive FM to provide a total FM operation at its UK head office. Incentive FM claimed that its success with Colgate Palmolive was down to an “open, costed and fully auditable budget structure”. Petro-Canada UK, the UK subsidiary of one of the largest integrated oil and gas companies in Canada, has Incentive FM to advise on setting up new offices. Incentive FM has built a strong reputation over the years not just as a service provider but an FM consultancy, too. Petro-Canada had previously brought the business in to advise on contract renegotiations and retenders, and now it was looking for help as it moved 250 staff to a new London office. Independent facilities management company Incentive FM has created an international team, following a number of overseas contract wins in the past 12 months. By 2007, Incentive was growing in revenue and in confidence, and the team wanted to replicate some of that success abroad. Automotive parts manufacturer Delphi had tasked Incentive to review the FM in its multiple manufacturing sites across Europe. Independent facilities management business Incentive FM has won a record-breaking contract, a five-year multi-million pound deal covering a range of services for Covent Garden Estate. In 2019, Incentive won its biggest and most prestigious contract, with one of London’s most popular tourist destinations. The service provider was brought in to deliver cleaning, maintenance, security and even street performer management at a site which houses hundreds of tenants and attracts approximately 43 million visitors each year. It was heralded as the next big opportunity for smaller businesses, yet public sector outsourcing contracts still remain a closed door for most of us. Over the years, i-FM has given Waud the opportunity to give his thoughts on a number of important industry issues and Waud has never been shy to express them. On this occasion, Incentive’s man was railing against what he saw as government hypocrisy. Ex-Prime Minister David Cameron had pledged to give SMEs adequate opportunities on government frameworks, but Incentive’s experience did not reflect this. Ask him about his business’s opportunities in the public sector and it is clear his opinion hasn’t changed much. “Some people who spend more time in the public sector might say otherwise, but it hasn’t changed much in our world,” Waud says. Though Incentive does do some public work, including a longstanding relationship with police forces in the South East, the business has very little exposure to this sector. “All they ever seem to do is make those contracts larger and more complicated and they reduce the field of those who can possibly bid,” Waud explains. “The government isn’t clever enough to manage them properly and the contractors are smart, so eventually they make their money somehow. Incentive FM Group has acquired Lynx Security Services, a 20-year-old business with current annual sales of £12m. Incentive FM has never been afraid to grow through acquisition when the right opportunities have presented themselves. The business bought Lynx Security Services, which was posting a revenue stream of over £40m and employed 1350 staff. Margin dive: but how far? For years people in the wider facilities services industry have complained about the commoditisation of contract services. The mid-market FM services group has been awarded a three-year contract at Somerset House, the major arts and cultural centre located on London’s Strand. The business picked up the FM contract of another prestigious London contract, very much in the same mould as Covent Garden. This three-year contract added to a portfolio that already included Covent Garden, the Royal Shakespeare Theatre and Liverpool Football Club. Incentive FM Group has secured a three-year contract with Land Securities to provide the full range of FM services at Bluewater, Kent’s retail and leisure destination. Incentive FM’s Managing Director, Martin Reed, called it “one of the proudest moments in Incentive FM Group’s 14-year history”. The business won the deal to deliver engineering maintenance, cleaning, security, grounds maintenance and environmental management. Incentive FM Group has acquired a third M&E business in a move that will increase the geographical reach, scale and range of its Incentive Tec operation. So, what next for Incentive? The relationship with shopping centre Bluewater was a watermark moment for the company. It began as a consultancy deal but a changing of the guard, from one managing agent to another, gave the service provider a chance to self-deliver FM services. “After that nobody in the market could say, ‘This is too big for you,’ which of course we had grown up with,” says Ward. He explains that, as the business grows in value, the pace of that growth gets quicker and the market opportunities become greater. “There are fewer doors slammed in your face,” he says. Incentive would like to buy something in Scotland to complete the geographic matrix of offices, but it’s not critical. The business already has offices in London, Weston Super-Mare, Kings Langley and Derby. Finally, Waud believes that there is room for Incentive to exploit the current market conditions in FM. “If the Mities have fallen and that represents opportunities with customers to deal with us, then great,” he says. “Does it mean we want to go scrapping at 6% margins? No. We believe in a reasonable margin so that we can reinvest, pay people properly, and not kid clients. I’m convinced those people are kidding the clients, kidding themselves and kidding the market. According to i-FM.net review, 2016 was a very busy and even dramatic year for the industry. Incentive FM Group appears twice in the review, recognising our ambitious acquisitions and developments in both the M&E and Window Cleaning sectors. It’s been a busy year, with the usual mix of contract wins, senior appointments and new ventures. A typical year in UK FM. But it’s also been a period of uncertainty, with the effects of previous events lingering, plus some new ones coming through. Notable amongst the latter was the Brexit referendum. That uncertainty was apparent in some quarters of the market, and it seems inevitable that there will be more to follow. Still, FM as a whole continues to prove itself resilient, creative and above all an interesting place to be. One of the most interesting, and perhaps instructive, companies to watch in the whole outsourcing marketplace over the past few years has been Serco. On most measures, the company has been a considerable success; but along with that success have come some problems – including a loss of focus on a coherent strategy and standing as a target for various issues and criticisms. One of Serco’s growth plans some years ago had been a big push into business process outsourcing. But when its fortunes turned, that looked like a big mistake – and the start of the year saw confirmation that it had finally sold that part of the group. The disposal was a key part of its wholesale makeover – which, though it is still very much underway, seems to be working. On the flipside of that, acquisition remains a key part of growth strategy for many in FM outsourcing. January also saw the news that Servest had bought Accuro Catering, a national operator specialising in the education and healthcare sectors. Servest called Accuro ‘a good strategic fit’ that would lend support to its expansion in the catering services area. January also brought news of the not wholly surprising collapse of the Building Futures Group. BFG was the product of a merger in 2013 which brought together Asset Skills, the sector skills council for facilities management, cleaning, property, housing and parking – an unlikely blend in itself – with the Facilities Management Association and the Cleaning & Support Services Association. In fact, it turned out in January 2015 that the CSSA had never quite finalised its part of the merger when it declared that it was quitting the group. In any case, BFG had never seemed to find sufficient purpose to ensure a long life. In other break-up news, it emerged that Germany’s Bilfinger Group had appointed advisors following receipt of offers for the acquisition of its building, facilities services and real estate divisions. The group, which had been struggling with market conditions for some time, said its executive board would review the offers, focusing on the best interest of the company and its shareholders. That, of course, led to considerable speculation about who was interested and what might happen next. Another big change in the status quo saw Royal Mail confirm that it was preparing to bring Romec, its facilities and maintenance operations service provider, in-house after running it as a joint venture business for nearly 15 years. Engineering group Hayden first took a 49% stake in the business in 2002, creating the jv. That stake was subsequently transferred as Hayden moved into Balfour Beatty, with the ownership moving again to Cofely (now ENGIE) with its acquisition of Balfour Beatty Workplace in 2013. It seemed ENGIE wasn’t interested in that particular part of the status quo. If technology is one of the great themes set to shape the future of FM, it often seems that energy is another. The first is about how businesses do things; the second is something they can buy into – and many service providers have moved to take advantage of the opportunities. Early in the year it was BAM with the formation of BAM Energy Limited, a new company that would draw on group expertise to offer design, installation, management and maintenance services, as well as support with finance. That was the second such move in a week. The Robertson Group had earlier announced the appointment of its first Energy Director, who will be running a new energy services business operating within Robertson Facilities Management. On the institutes and associations side of the industry, the British Institute of Facilities Management confirmed the appointment of Ray Perry as its new Chief Executive Officer. BIFM had revealed late in 2015 that then-CEO James Sutton would be stepping down over the summer. Perry, at that point Chief Executive of the National Pawnbrokers Association, was due to take on his new role in time for the institute’s pre-summer AGM. Returning to the busy mid-market theme, this month also saw the completion of an MBO at the £20m Premier Support Services group. The Birmingham-based business specialises in cleaning, security, and property and grounds maintenance, and that move was part of a plan to grow both organically and through acquisitions with a view to double pre-tax earnings over the next four years. Energy is a recurring theme in FM. It cropped up in March as ENGIE announced the acquisition of digital energy management specialist C3 Resources. ENGIE said the deal supported its strategy to deliver innovation in customer-led solutions using technology. Its plan was to use C3’s platform to enhance the way it analyses data in order to better serve energy supply and service customers across various sectors. That platform is ideal for managing large volumes of energy and environmental data and tracking actions through to resolution in compliance with ISO 50001, ENGIE said. More acquisition news. The Dublin-based Noonan Group extended its security operations with the acquisition of The Shield Guarding Company. Shield, which reported a £3.6m loss on a £59m turnover for the year to end March 2015, had been the subject of rumours in the industry for some time. Noonan has grown significantly in recent years and was already operating throughout Ireland and the UK. It said the buy would extend its security operations significantly. And more institute and association news – with the announcement of a collaboration between the International Facility Management Association and the Royal Institution of Chartered Surveyors. By joining strategic resources, IFMA and RICS said they intended to create ‘an unprecedented level of industry support’ to meet growing demands from the 25m FM practitioners around the world, as well as launch ‘a single and compelling career pathway’ into the FM profession. “As global thought leaders dedicated to the professionals who support the built environment, IFMA and RICS identified a unique opportunity to team up and fortify existing resources to enhance the outstanding level of service they already provide to professionals and built environment industry,” said IFMA President and CEO Tony Keane. The FM Business Confidence Monitor, produced by BIFM in partnership with i-FM and Barclays, has established its place in the industry as a test of business sentiment, both at the moment and projected out over the remainder of the year. 2016’s survey found that, though there were plenty of reasons to be cautious, the general mood in the UK facilities management sector was one of optimism. Despite concerns about political and economic factors affecting the wider business climate, almost two-thirds of participants said they were positive or very positive about the environment. That was down somewhat on the previous year’s results, but nevertheless indicated considerable confidence within the industry for its immediate prospects. As spring approached the facilities services business Temco UK announced that it had bought itself out of the wider group. That followed the acquisition of the group at the beginning of the year of the ambitious French services business Atalian. The £5m Temco UK said the deal was ‘amicable’ and would lead to benefits for both parties. And on the subject of business success and getting the best from talented people, May’s BIFM conference saw the launch of The Stoddart Review, an ambitious programme aiming to bring together business leaders and workplace experts to assess why organisations continue to see the workplace as a cost rather than an asset that they can use to unlock latent value in their workforce. Launched in memory of Chris Stoddart, the backers of the initiative intend it to serve as a legacy for a man that helped shape the FM profession. The Incentive FM Group announced that it had acquired ACE Environmental Engineering, an HVAC design, installation and maintenance specialist. The deal was seen as complementing Incentive’s earlier buy of Comserve, a mechanical and electrical maintenance and installation services company. The group said its intention was to create a strong national M&E service offering with a multi-skilled mobile engineering workforce. In a different segment of the FM world, workplace technology specialist Condeco announced the acquisition of myVRM, a New York-based software company with workflow automation expertise in video collaboration, content sharing, unified communications, virtual meetings and analytics. “This move will provide the scale to underpin our continued global expansion, which has seen us achieve over 40% growth in 2015. Adding scale to our already global business will help as we respond to the appetite for workplace utilisation tools – demand which is increasing exponentially as companies strive for efficiency, competitiveness and productivity,” said Condeco CEO Paul Statham. In other acquisition news, property services group JLL confirmed that it was buy property maintenance provider Integral. JLL said the acquisition would strengthen its ability to self-perform maintenance services for clients across the EMEA region, as well as add an engineering centre of excellence in the UK. The deal valued Integral at about £230m. Back in the mid-market segment again, in mid-June Kingdom announced the acquisition of Ocean. A £20m business, Ocean specialises in cleaning services, complemented with a variety of other offers. Its acquisition moved the ambitious Kingdom, best known for its cleaning and security operations, to an estimated annual turnover of £105m. On the negative side of the news scene, it also emerged in June that Warwickshire-based hard services specialist EIC had in the administrators, surprising many in the industry as well as most of its employees. Formerly an £80m business, the company operated from seven offices around the country specialising in M&E design, installation and maintenance services, though its offer had broadened in recent years – including a recent push in the direction of more mainstream FM. The explanation offered for the failure was ‘poor recent trading performance, underpinned by an ever increasing competitive market’. Incentive FM Group was back in the news with another acquisition, this time of ARL Support Services, a specialist window cleaning company. That was its second move in this service area: it had bought window cleaner SWC earlier in the year. More summertime buying. Bellrock confirmed that it had acquired two firms with the goal of expanding its portfolio of property consultancy services into new markets. Added to the portfolio were Stanley Hicks Ltd, a 200-year-old chartered surveying business based in the City of London, and Property Solutions (UK) Ltd, a service charge specialist for the office and retail sectors, based in Bristol. Bellrock would follow this in September with the news that it had acquired Concerto Support Services, an FM, asset management and project management software business. In a small echo of December’s news that the landmark Southwest One contract had no future, the Department for Work and Pensions announced plans for the replacement of its PRIME contract. That 20-year deal had been put in place at a time when it looked like big deals combining serviced accommodation with facilities management services might be the future, at least for big organisations. PRIME seems to have been a success, but DWP was confident it was time for a change in any case. The close of summer brought the news that the Bilfinger group had completed the sale of its property and FM division, a prospect that first hit the headlines in January. The buyer was investment group EQT, which some years ago was also a major investor in the ISS group. The sale price of €1.2bn was built on a complex deal that gave Bilfinger an immediate cash injection while holding back a substantial proportion for payment later, on the theory that the previous owner could share in the value achieved by the new owner when the business was subsequently sold on. A little later in the month, CoreNet Global, the CRE professionals group, confirmed what we all know anyway – the speed of technological development is dramatically reshaping the way that corporations manage and use their real estate. Or if it isn’t happening already, it surely must and probably within a matter of just a few years. Group Chair Kate Langan observed: “The ramifications are quite dramatic: these shifts will impact everything from traffic patterns, the environment and energy, to daily living and the overall quality of life.” Technology reshaping the world is simply a fact of life. Insights into a different kind of market force followed with the release of a trading update from Mitie that warned of ‘significantly’ lower operating profit for the current year than previously forecast. The company said its was feeling the effects of economic pressures, specifically lower UK growth rates, changes to labour legislation, further public sector budget constraints and uncertainty both pre and post the EU referendum. Capita was in the news only days later with a similar warning on its performance. Outsourcing markets in particular like confidence, consistency and clarity. Any dent in that can lead to client unease, delays in decision making and holes in the financial strategy. RICS and IFMA were back in the news with the announcement that they were working together to develop a unified career map in order to align training courses, qualification requirements and certification levels. IFMA said the map would deliver ‘unprecedented clarity and internationally recognised authority on the required skills, training and experience necessary for all professional stages and goals’ within FM. It was being positioned as one of many resources coming out of the collaboration between the two bodies, unveiled in the spring. Mitie was also back in the news, with the announcement that after 10 years as Chief Executive, Ruby McGregor-Smith was to leave the company in December. The process of finding her replacement started late last year when she made her plans known to Mitie’s board and was already complete, the group said. Phil Bentley, ex-Group CEO at Cable and Wireless Communications, was set to take the top job. Also this month, hard services group Spie bought the Birmingham-based technical facilities management and property services provider Triosgroup. The deal brought to Spie’s portfolio a team of about 690 people spread across five regional offices – Birmingham, Enfield, Cirencester, Basingstoke and Warrington. The £61m Triosgroup operated in three divisions: Property Maintenance, Legal & Statutory Compliance and Access and Security. Spie said the deal would diversify its end-user markets, expanding its presence in particular in retail and leisure. 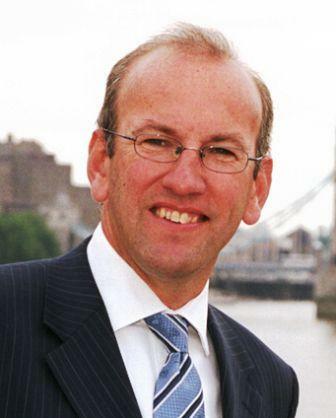 Later, another senior departure was announced – this time it was Interserve CEO Adrian Ringrose saying he would be leaving the group is to once a successor was in place, a move expected to be completed in 2017. Ringrose said he was planning to pursue the next phase of his career after 15 years with Interserve. Then Mitie was back in the news again, this time with even more bad news. Publishing its interim report, it revealed that for the six months to 30 September 2016 group revenue was down 2.6%, operating profit was down 39% – and the loss for the period topped £100m. The company’s share price graph literally looked like the price fell off a cliff first thing in the morning after publication of the report. It blamed the problems on, amongst other things, changing market conditions as clients adjusted to rising labour costs and economic uncertainty. It also declared its intention to exit the home healthcare business as quickly as possible. One regular December occurrence is confirmation of the finalists in the running for the annual i-FM Technology in FM Award. We’ve past the 10-year mark on this competition, and the entries just get better and better – a clear sign that technology is playing a bigger and bigger role in FM. The finalists for the 2017 Award were ENGIE, Interserve, JLL, Mitie and CDS. The winner is revealed at each year’s Workplace Futures conference, held in February. The development of officially recognised standards for FM has been a long, slow process – a real labour of faith and determination for the handful of practitioners who have championed this. One – probably the key figure in the whole effort – was honoured late in the year with the presentation of a BSI Leadership Award. That went to Stan Mitchell, who was praised for his “enthusiasm, superb industry reputation and support for new members” of the pro-standards campaign. Finally, the latest report from business advisors Grant Thornton on M&A in the FM sector noted continued high levels of deal activity throughout Q2 and Q3 2016. A total of 30 FM deals were announced in Q3 2016, the highest amount since Q2 2012. The first nine months of the year saw a total of 76 deals, the highest level of activity since 2011. If deal activity remained strong in Q4, GT said, deal volumes could exceed the 97 recorded in 2015 – and we could see activity hit the 100 mark for the year, last achieved in 2011. But, the firm cautioned, while many service providers were adopting a business-as-usual approach and maintaining their growth agendas, the full impact of the vote to leave the EU remains unknown and could still have implications for the sector. Incentive FM Group, treated its clients to a night of quintessentially British fun as a way of thanking them for their business over the past year. The event took place at one of London’s oldest members clubs, The City Of London Club. Following the theme, the canapes were chosen to be specifically British including variations on Cumberland sausage and mustard. Similarly, the wines, provided by Waud Wines, were chosen to complement the theme including the English sparkling wine, Nyetimber. In order to mark the occasion guests were treated to music by The Martineau Brass Quintet and caricature portraits. Guests were then invited to take part in a challenge guessing the country, region and grape of a variety of the two mystery wines served with the cheese!. We started this business15 years ago with good contacts and a strong team. Now we have a turnover of nearly £100 million and employ over 2,500 people and we wanted to thank all our clients that have made that growth possible. As ever the day finished with our annual awards dinner where we celebrated the achievements of our winning contracts and managers – then partied into the evening. The afternoon was spent in the grounds of our hotel completing the Incentive Experience Challenge. This pitted thirteen teams against each other in a test of both physical and mental agility including breaking out of jail, pistol shooting and jungle rescue. The culmination of the challenge was to fire a rocket into a stationary target over 100 metres from the launch site. This challenge proved an interesting one with the shortest flight 10 metres and the longest over 300. Some recalibration was certainly required!! ‘The Incentive Experience’ conference opened up with the morning business session and the key message was that to get the ultimate customer experience right we have to ensure that the experience of working for incentive is an exceptional one. This carries on from the launch of our new mission statement earlier in the year which is “to have staff who love working for us and clients who love working with us”. This theme has been particularly prominent in my mind due to the growth of the Group in both complexity and size, with a number of significant contract wins and acquisitions over the last 12 months. My message to the team is now that we are getting big we must continue to ‘think small’. It is small businesses that have personality, creativity, flexibility and drive and those are the attributes that people have always associated with Incentive and we must never lose that USP. The morning business session of the conference ended with a 50 minute ‘Question Time’ where our managers got the chance to understand our senior leaders’ thoughts about key issues affecting them and their site teams. It was an open and honest session which all parties gained a massive amount from. A great day with our teams at the 2016 Incentive Annual Conference – this year held at the Mercure Warwickshire Walton Hall Hotel and Spa. Congratulations to all of the prize winners. Crystal Peaks shopping mall has won the prestigious Britain in Bloom Gold Award for the fifth year running. And there’s a double celebration this year as the centre was also awarded the discretionary Yorkshire Rose Commercial Award. The Sheffield shopping complex, which sits in the heart of the South Yorkshire Community Forest, was nominated in recognition of its commitment to improving the bio-diversity of the land around the site and its full range of environmental campaigns. The management team fully understand the benefits of the landscape and are working on ways to improve not only their site but work with the local community to give something back. There was special mention for the Crystal Peaks bee hives, situated on the roof of the complex and a local source of nectar and pollen. There was praise too for the Crystal Peaks gardening team and their work on seasonal displays and also commendation for the way the centre has worked with organisations like Sheffield City Council, the Landscape Trust, Sorby Natural History Group and neighbouring schools on the meadowland project and the ongoing cleanup up of the nearby Ochre Dike. Sponsorship of the floral displays on the Sheffield Council owned roundabout at the entrance to the complex is just another way of giving something back to the city. To win a Gold Award for five consecutive years is a clear indication of our commitment to making the centre as welcoming as possible for all our visitors. It also shows how much importance we place on supporting the wider community and we take our contribution to projects like our bees and the Ochre Dike clean up programme extremely seriously. Congratulations to the whole centre team for maintaining such a high standard of maintenance across all parts of the site – their pleasure and pride in their work is what makes these awards possible. Glenn Wilson explains how it is not just charities that will benefit from an organisation’s fundraising initiatives. It is safe to say that we are a society of fundraisers. Last year, 67% of adults living in the UK donated to charity, raising more than £9.6bn in the process. I, like many others, frequently support friends and colleagues who are attempting to raise substantial sums of money by taking part in charity events – be it a grueling endurance race, skydiving, or jumping into the saddle to take part in the famous London to Brighton bike ride. The new millennial generation is more inclined to search for employment within organisations that boast a strong set of ethical values, which incorporates fundraising. It has also become apparent that, as a generation, they are more likely to use a product if it is either ethically sourced or if by buying it they are helping a charitable cause. Charitable giving can proactively boost your brand’s image, helping you to stand out among competitors and attracting potential new talent. As Incentive FM employees are based throughout the UK, ensuring every member of the team takes pride in where they work is important. One of the key things I have noticed in my experience is that company-wide fundraising draws people together. Everyone taking part in an event has the same end goal; the only way to achieve that is by working together, consequently forging stronger relationships within a team. Similarly, it instills a sense of pride in the fact that their employer is encouraging them to do something different to their everyday work routine. In addition, encouraging a friendly competitive work environment is a great way of engaging staff. As part of our charity fundraising efforts we set each team an individual fundraising target with the aim of raising the most money and beating their peers. It is also a fantastic way of motivating staff as it instills a sense of team achievement once the target has been met. As an example, our team at The Grosvenor Shopping Centre in Macclesfield thrashed its £108 annual target by raising an incredible £700 by completing the Three Peaks challenge. The varying ways in which companies can rally together to donate can be seen through our various teams across the UK. Friars Square Shopping Centre in Aylesbury did a fantastic job of contributing to the company’s charitable effort by taking part in the Wolf Run (Mud Run) raising a total of £1,600. They also committed to helping the Poppy Appeal in aid of The Royal British Region, adding a phenomenal £11,000 to the total. Similarly, the team at Crystal Peaks Shopping Centre in Sheffield took part in a different charitable event each month, ranging from the Three Peaks Challenge to a ‘Name The Teddy’ competition. In total, they raised £2,052, which brought Incentive FM’s fundraising total for the past year to a whopping £25,253. As Regional Director, it is a great pleasure to see how our fundraising efforts have contributed to an increase in staff morale and workplace pride. We will continue to prioritise raising money for a variety of worthwhile causes, ensuring we can help more people in need whilst promoting a sense of togetherness across our teams. Glenn Wilson is Regional Director at Incentive FM. The mechanical and electrical maintenance and installation services arm of Incentive FM Group has won a three-year contract to provide services to Allied Irish Bank at 22 sites across the UK. The contract covers both office buildings and high street branches and is designed to ensure a compliant and comfortable environment for both employees and customers, Comserve says. Under the terms of the deal, which was awarded by property agent McBains Cooper, the service provider will be responsible for all heating, air conditioning and lighting equipment across the sites, in addition to undertaking minor fabrication repair and refurbishment. Comserve’s 70-strong mobile engineering team will provide a full planned maintenance programme including all statutory testing and inspections. Additionally, Comserve will provide a 24/7, 365 emergency call-out service with pre-agreed response times to support the demands of AIB’s stakeholders and customers. During the tender process the team at Comserve was able to demonstrate that they could deliver high levels of customer service whilst also ensuring overall value for money. We were also impressed by the high level engagement of the senior team who quite clearly share our core values of honesty, trust, respect and mutual support.